« Well, THAT was fun. 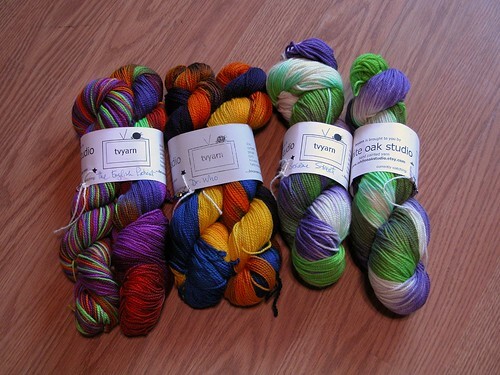 On Thursday before SAFF, Aimee (AKA the Evil Enabler) took me to The Yarn Shop by Rainy Day Creations. I picked up the Cascade 220 to make these cute cabled gloves that she’s making, and probably a hat to go with them. The Opal is earmarked to become Kelp! Knits’ Ironwork Socks. 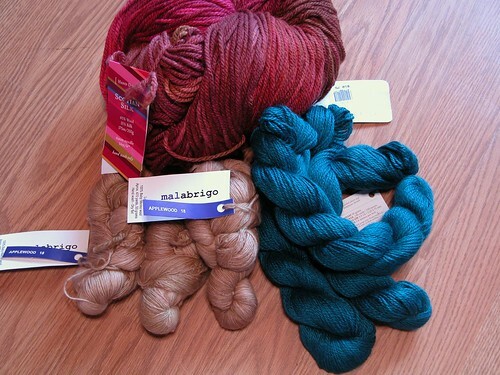 Friday, Cristi and I ran over to Charlotte Yarn, where a ridiculous amount of stuff jumped into my arms. I picked up the Malabrigo Chunky I used in the Passin’ the Dress Code, some Malabrigo Laceweight in “Applewood”, Blue Sky Alpaca & Silk in a lovely peacock blue for a Clementine Shawlette, and that big ball of squishy goodness in the back is some Fleece Artist Scotian Silk. No clue what it’s going to be, but damn is it soft. And pretty. Saturday morning at SAFF, we tracked down Jana from White Oak Studio to get some of her TV Yarn. I was thrilled to find that she did have some “Doctor Who”, which I snapped up for Kris (on that, we finally got our season 3 dvd’s and watched the infamous “Blink” episode. I’ve been hearing about it for months, and OHMYGOD now I know why. SO GOOD! ), along with “The English Patient” and “Sesame Street” for me. 10 comments to Brooks Farm…. Squishy!!! I am jealous! So beautiful, all of it. (Kris is an awesome photog, by the way.) 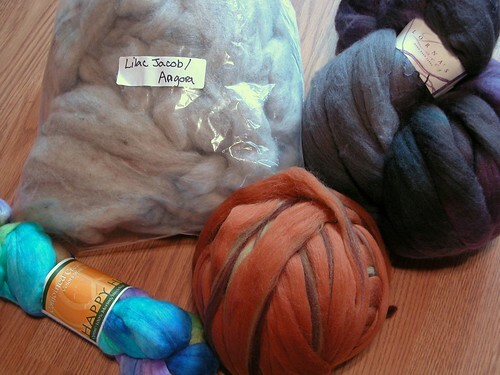 At least you knit at a fast enough rate to use up some of this stuff fairly quickly! 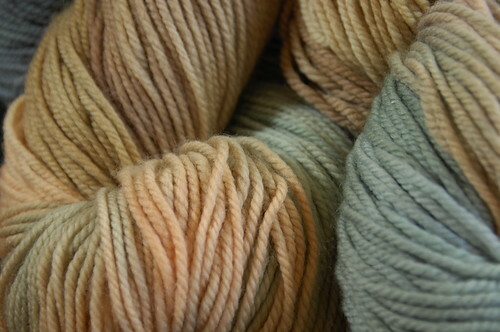 The clementine – well, mine came out fantastically in the Alpaca Silk, and I can’t wait to see yours!!! As for being the Evil Enabler….ummm…That’s right. I am Ev0L. get used to it (and really you should be calling Cristi evil – most of my enabling happened at SAFF – hers was ALL at Charlotte Yarn! 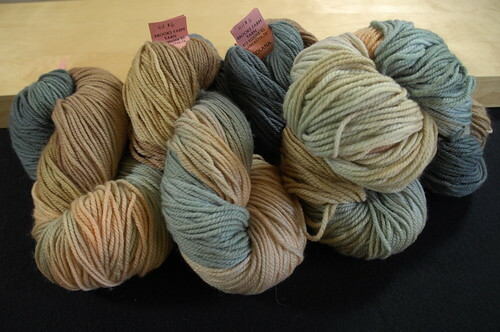 Oh wow, when I went to Kid N’Ewe Brooks didn’t have that pretty yarn! I wonder if that’s new? I love that TV yarn…I think she had some Buffy stuff that got snatched up pretty quick too. Oh…. 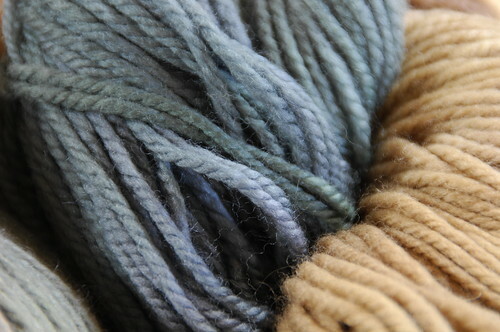 that tvyarn… want it… badly…. 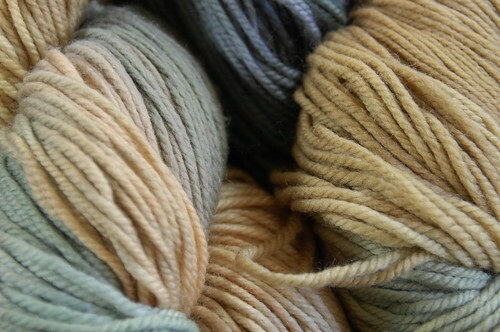 love the TV yarn – OMG want some! !